Four teachers received tenure at the Board of Education meeting on June 13 (L to R): Nicole Conte, Daniel Scher, Elizabeth Corey and Natalie Arket with Assistant Superintendent Michele Bowman and Superintendent Jeff Simons. 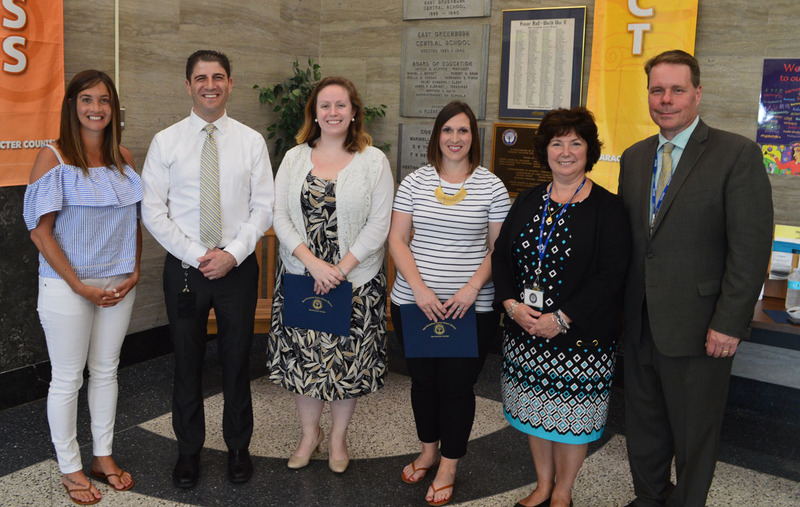 Four teachers have earned tenure this school year after successfully completing a probationary period of effective teaching and evaluation. They each received certificates and were recognized at Wednesday’s Board of Education meeting at Genet Elementary School.